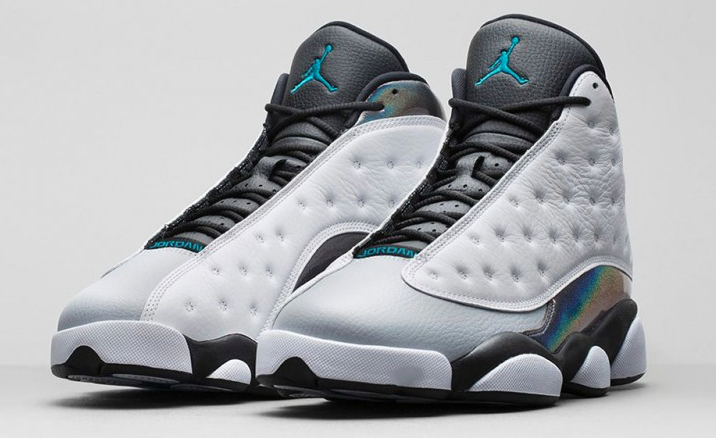 This weekend, Jordan Brand will be bringing back the retro Air Jordan 13, in their signature Wolf Grey colorway with a very unique twist. The classic silhouette’s leather upper gets hit with a smooth light and dark grey bordered by black panther eye-inspired holographic heels and side panels. To top everything off, the rendition also features tropical teal hints throughout key areas of the model. 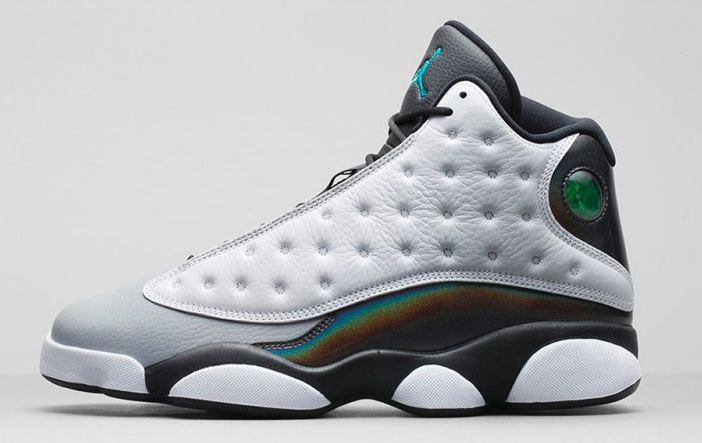 The retro Wolf Grey Air Jordan XIII will be available at all Jordan Brand retailers & over at the Nike online shop October 25th @ 8AM.